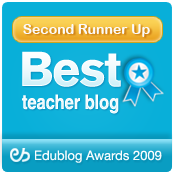 Cool Cat Teacher Blog: Flat Classroom Conference Winners 2011! What happens when we reach our Educational Egypt? Students see that they have a voice and are starting to speak out. Look at the news to see how Facebook and Twitter are mobilizing the masses and believe me, as evidenced by the overwhelming victory of "Movement 9," students are ready to take action. Movement 9 (the number is named because of their team number) proposed to research and find companies who are using child laborers and to publicize it through a Facebook app to pressure companies to stop using child labor. Watch their video to see what they want to do! Coming soon to a school near you: students who being exposing poor educational practices. If you think you're immune, so did a former Middle Eastern despot. Governments have been hit. Companies and Education, you're next. This generation is starting to collaborate and communicate. Update 3/16/2011 3:44 pm EDT - This just in from Twitter "
stevehargadon: Social hackathon today: promoting student voice in ed reform dialog, via Twitter 5pmPT/8pmET/12amGMT use #elev8ed. Pls RT." 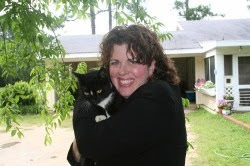 My challenge to you - is there someone out there who can help Movement 9's dream happen? Any organization? Any person? Also proposed this year: an exhaust pipe that would turn red if someone's car was emitting toxic emissions and the enermeter that would track and share your energy usage with others. Everyone at the conference were winners. 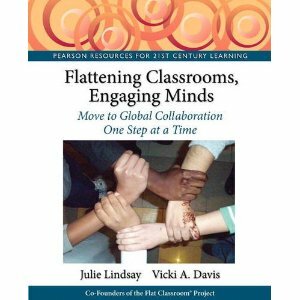 I hope you'll peruse the wiki for some excellent worked examples of what global collaboration can be. Join us next year in Mumbai, India in February 2012 at ASB Unplugged. Bring your students! Over the past 2 weeks students and teachers globally have been voting for the top student and teacher projects. They were asked to vote for the ideas that would have the most potential if implemented. We are excited to announce the results.